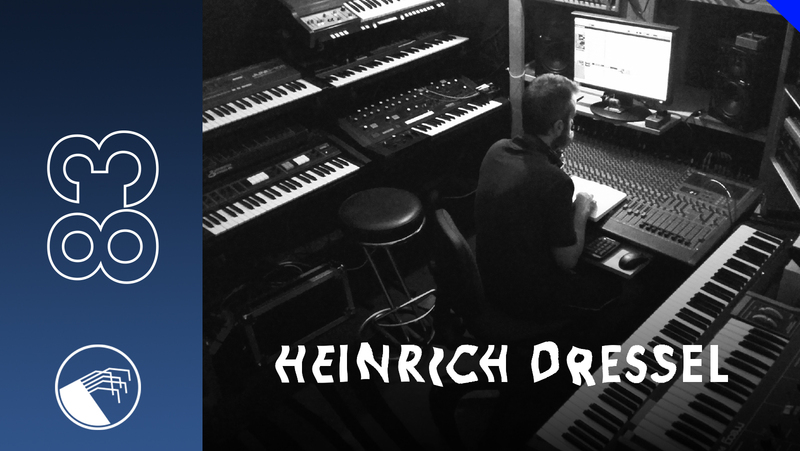 All tracks by Heinrich Dressel. Slipping through the quantum fields of No-space way out past force and time I laughed at the contradictory beauty of existence. Twin atomic black holes rotated asymmetrically to my stern, grinding heavier than stars, captured and held by the sheer objectivity of their physics. One event-horizon was balanced perfectly against the other providing energy enough to harvest force giving gluons, particles collected like grains of sand across vast empty beaches. My drives smashed sub-atomic fundamentals in a symphonic realisation of quantum chromodynamics, propelling me across a plane of existence that undergirded the structure of the universe. I skipped into standard reality, paused on a quantum and accelerated in real-time through the coiling solar flares of a dying hypergiant, executing a cheeky barrel roll as I shimmered through temperatures of 20000 Kelvin plus, shaking off gravity wells that could entice entire solar systems. Resting on a moment, shutting down systems I enveloped myself in the radioactive vortexes raging across all energy spectrums. Gamma rays screamed outwards as the supergiant stars core continued its collapse fusing heavier and heavier elements in an ordered, logical procession of inevitability spiraling into total annihilation. Tragic beauty. The mass of my hull vibrated pleasurably with the charged particles of the highly agitated magnetosphere. Nothing could sense me in this maelstrom. My consciousness existed separately across several platforms all at once: ship-bound, aboard various orbiting intelligence units, throughout extra-stellar dataclouds hanging safely between galaxies and vividly operating within a single human clone. My vat grown biological Self interacted directly with human reality back on the Core Worlds, feeling, intuiting and believing; She fed me a version of reality directly through the prism of human experience. I could simultaneously associate scalar values to a near infinite number of points across multiple quantum fields, eradicate entire planetary systems in less than seconds and exist outside of pure matter yet the capabilities and knowledge I possessed were just random coordinates without a belief system to collect it all together and give them purpose. Painful experience taught that purely rational Ships had a tendency to nihilism and suicide or to narcissistic totalitarianism, ordering jihads on reality according to their mechanical logics, with devastating consequences for matter and time. Neither depressed nor overly egotistical gravity forcing weapons systems were particularly good ideas. The strongest artificial force the universe had ever known needed the entirely contradictory nature of human belief systems to keep itself from going insane. Within moments I would leave the inscrutable noise of the giant suns immediate magnetosphere and from there speed across the dark cold vacuum of local space to launch an assault upon a system of planets who had decided to encase entire stars harvesting almost 100% of their energy. Resources were resources and only certain groups were allowed to control them. Cities holding hundreds of millions of people would be eradicated, reduced to atomic dust in a gratuitous display of power: a symbol that would travel across space and time almost eternally. In order to archive vital genetic material the remaining shattered peoples would be removed to a planet far out on a spiral arm of the galaxy, where in 15000 years they might once again discover basic rocket science. Humans made these decisions based on subjective principles, but even this terror was preferable to decisions made without such biased reasoning, because that would mean humanity had ceased to exist at all; there was simply no getting away from that. Italian Heinrich Dressel creates dazzlingly beautiful music, burnished with celestial light and pitted with bitter shadow reflecting the binary attributes of the human condition, as all good art surely must. One of the founders of Minimal Rome, an imprint running since 2004 Dressel has also contributed releases to Strange Life Records, Mannequin and the infamous Frustrated Funk. Here Dressel presents a deep, contemplative tour through the outer regions and inner-spaces of musical possibility, creating and ordering almost ethereal electro that gradually coalesces into a dark threat. Dressels mix represents a mesmerizingly beautiful collection of sounds, a cultural object designed to stir emotion, thought and physicality.